Like the Winchesters, I’m not one to back down from a challenge. However, trying to narrow down five top Dean Winchester moments, from a season that has been full of amazing moments from all our beloved Supernatural characters, seemed impossible. In my humble opinion, season 13 has risen above the unlucky connotation attached to that number. 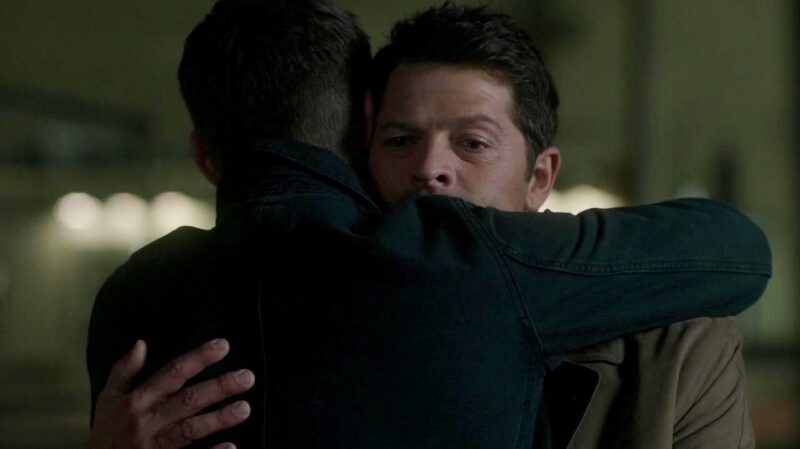 Our Team Free Will has been through so much this past season and as a Supernatural fan you would think I would be used to this, but no, I was hit in the feels so many times that I should have stock in a tissue company. Hence the difficulty in deciding on only five moments for our beloved older Winchester. Many of these moments also are a great testament to what a phenomenal actor Jensen Ackles truly is. I’m listing them in the order they aired, because honestly, it kept me from having to decide which moment was the best. I love them all. If you aren’t caught up with the season yet then proceed with caution, more spoilers lay ahead. 1. “Lost and Found,” Episode One: Dean praying to Chuck. How could you not have your guts ripped out listening to Dean open up to another absent father figure. Once again he and Sam have been left alone to figure out how to protect the world while dealing with the devastating loss of their loved ones. In this scene Dean admits his feelings and his vulnerabilities. He admits that he and Sam are not ok and that maybe, just maybe, they aren’t enough. He blames Chuck for leaving them to shoulder the burden, “You left us. You said the earth would be fine because it had me and it had Sam, but it’s not and we’re not.” Dean has hit rock bottom and has turned to his last resort, to the one person that might be able to help. He asks for, no he demands, a sign and gets nothing. He loses what shreds of faith he might still have had at this moment. His heart is broken and mine was too as I watched him beat his knuckles bloody on that wooden door. 2. “Tombstone,” Episode Six: Cowboy!Dean. I couldn’t leave this episode out. It’s no secret to Supernatural fans that Dean loves cowboys. In this episode, we get a glimpse of the little boy that lives inside of Dean; the one he never got to be. He had to become an adult way too fast and put away childish things way too early. For Supernatural, this is a fairly happy episode. Cas reunites with the boys, he gets to meet Jack for the first time, and Dean gets to play cowboy, complete with hat and boots. He is in heaven from the minute he enters their hotel room and begins rattling off the lineup of cowboys and gunslingers whose pictures grace the walls. “Team Free Will 2.0” back! The most striking image from this episode is one of my favorite moments, Cas and Dean exiting the Impala, looking every inch the modern-day cowboy or at least the Winchester version of one! All kidding aside, Sam sums up the reason I love this episode when he tells Dean, “You’ve been having a rough go so, it’s good to see you smile.” Dean gets his faith back with this one. He got his “win” when Cas returned and he is back in the game. The monsters need to watch out, because Dean is back. 3. “Bring Them Back Alive,” Episode 18: Charlie’s Return. Dean is outstanding in this episode. 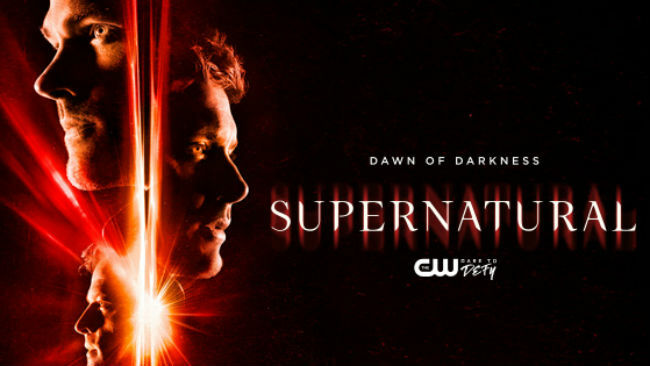 From the beginning, when Dean and Ketch come through the rift, to the end when Dean lets his anger and frustration take over, it’s one long shining moment. Dean’s determination to save Charlie, even if it means losing the chance to save his Mom, is the fuel that keeps him going. Even when he is on the verge of collapse, he won’t give up. He is not going to let history repeat itself; he has a chance to make amends and he will not let anything stop him. 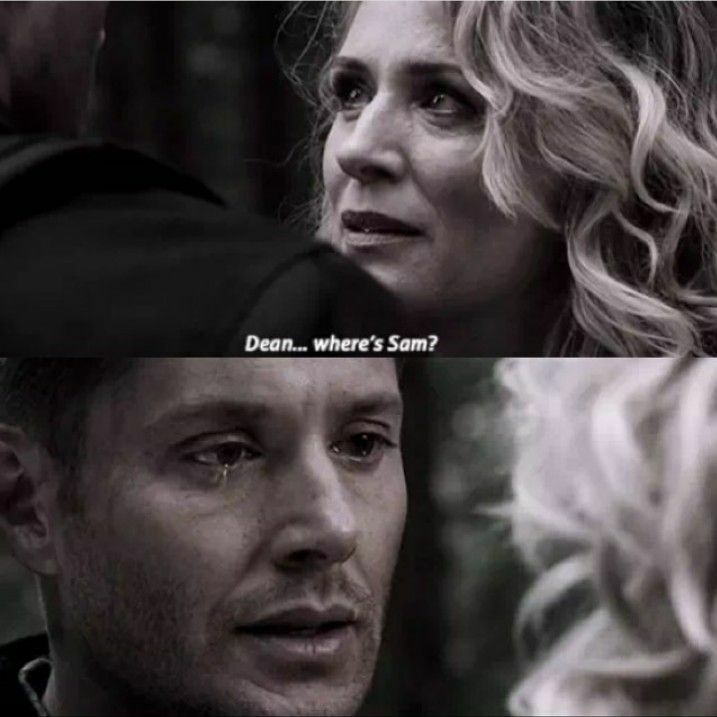 Ketch picks up on the regret in Dean’s voice, ” You feel you failed her.” Dean’s answer ripped my heart out. “I know I did.” I’m sure I wasn’t the only fan screaming “No you didn’t!” at my TV that night. Instead of screaming, the last few minutes of the episode had me as speechless as Sam and Cas face Dean’s rage at finding out that Gabriel was gone and all the archangel grace with him. How many times in our lives have we felt this way? We have all had moments when we took two steps forward only to end up three steps back and wondered why should we even bother to keep going. Despite this, we find a way. We dig deep and push on, just as our Team Free Will always does. They may get knocked down but they always get back up. The Single Man Tear™ strikes again. Dean has just lost his brother; literally watched him die and was unable to prevent it. He couldn’t even carry Sam’s body out; he had to leave his brother behind to continue the quest that brought them to the AU. He has to find Mary and Jack at all costs. Dean carries on without his brother because he knows in his heart that it is what Sam would have wanted. He is trying so hard to keep his emotions under control but when he sees Mary and she asks where Sam is, the tears begin to overflow. He is literally rendered speechless. Watching the muscles working in his throat and the tears spilling down his cheeks as he tries to find the words, while Mary looks on with dawning realization spreading across her face, is one of the most heartbreaking scenes I have ever watched on this show and that is saying a lot considering what the boys have been through. I have re-watched this scene several times and it never fails to put a lump in my throat. 5. Episode 24- Let the Good Times Roll: Not… Dean? This is the episode Supernatural fans had been waiting WEEKS to see, ever since it had been announced that Jensen would be playing a role that was NOT Dean. The speculation on social media was all over the place, who would it be? Many names had been tossed out including, God, Death,The Darkness, and Cain. Consensus seemed to be reached in regards to one character, Michael. Most people seemed to agree that Dean wouldn’t say yes to Michael after all these years. I agreed with this, I was not going to be happy if Dean became Michael. Or so I thought. I had been telling myself for weeks that Dean becoming Michael was too easy, too predictable and not worthy of a kickass finale. 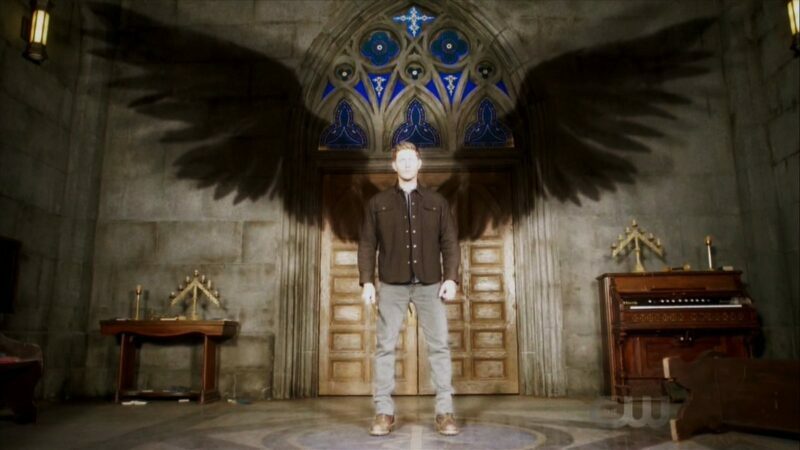 I felt that way right up until the moment that Dean lands in the middle of that church, wings unfurled behind him. That is one image that I hadn’t realized I needed to see and now I can’t stop watching it. Seeing Jensen as Michael at the end of the finale with no visible trace of Dean was amazing and set up for season fourteen perfectly. The fact that I am still as excited today, about a show that has been on for thirteen seasons, astounds me. I still can’t wait to see what happens next. I still laugh, cry and scream at my TV each week. Bring it on season fourteen. I can’t finish this article without having at least one honorable mention. I know this may generate controversy because I didn’t include it in my top five. It wasn’t because I didn’t feel it was important or momentous, it was because there were just too many moments to choose from. It doesn’t mean I didn’t feel all warm and fuzzy inside and yell YES! at my TV screen because I did. We needed a win, the Winchesters needed a win, DEAN needed a win. My honorable mention is actually part of two episodes. The end of episode 5 Advanced Thanatology and the beginning of episode 6, Tombstone. Obviously, I’m referring to the moment that Dean sees Cas and the hug that follows. My eyes definitely teared up at that moment and it had nothing to do with the onions I had been chopping for dinner. Our Team Free Will is whole again. You couldn’t ask for a better win than that!